The ability to fly – I think that would be my superpower skill of choice. But instead of wanting to zoom across the planet like Superman trying to turn back time to save Lois Lane, I’d be the one gliding along slowly, seeing what was going on. 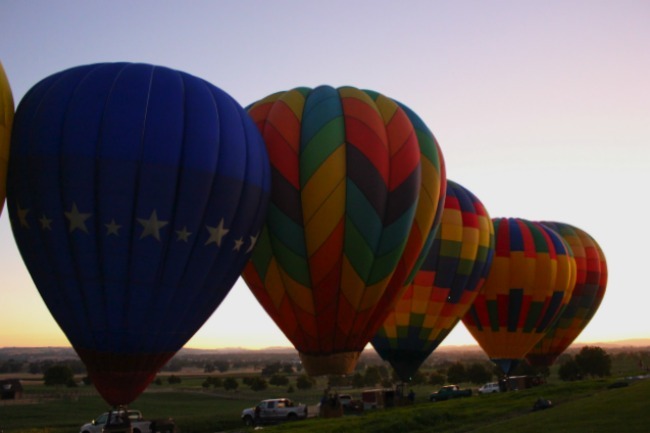 It’s one of the reasons I was excited to go up in a hot air balloon – which I found one of the gentlest ways to ascend into the sky. 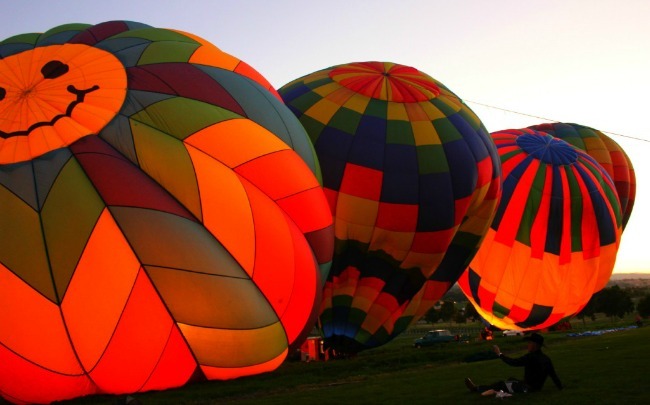 I understood the romantic overtures of flying like this – with a large colourful balloon above and the earth below. 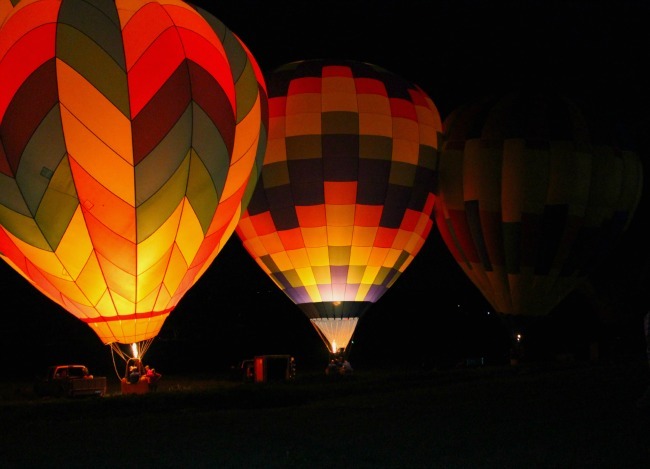 And although many of us have been on a plane or in a helicopter, the hot air balloon still holds a distinct place among us for flight. Attending one of the evening events of Sunset Savor the Central Coast, the dinner was a bbq at a ranch near Paso Robles, and one of the entertainments was hot air balloons. Unfortunately, the balloons were just filled, but never went airborne. But as soon as they started filling the balloons just before sunset, everyone became enamored of the sight. Phones and cameras were out in full force, to see these colourful orbs push up into the sky, and become the focus instead of the surrounding ranch and vineyards. One of my favourite images was this cowboy, taking a photo of the balloons, his silhouette just as unique as the hot air balloons. And although it may seem silly to some, its these images that link us all – we just can’t resist – no matter where we are – to take a photo of a hot air balloon.